ONE of Cumbria’s leading entrepreneurs has been appointed as trustee to a national charity which was founded by TV star Dame Esther Rantzen. James said: “The Silver Line is a direct-action charity that genuinely changes the lives of older people. Its overheads are low and that means you can have confidence that anything you donate to it, really will help older people - feel connected, and part of the real world again. 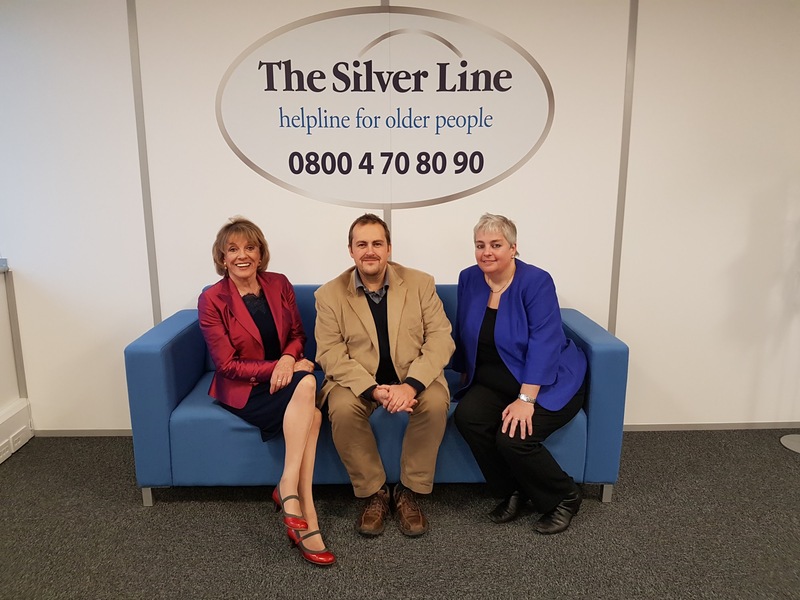 The Silver Line operates the only confidential, free helpline for older people available across the UK which is open 24 hours a day, seven days a week - and since being launched has received more than two million calls. After interviews with existing Trustees, James was invited to become a Trustee of The Silver Line in January 2019. "It's wonderful news that James is able to join The Silver Line as a Trustee. He has been a keen and helpful supporter of the charity for several years, is an expert on the ageing population and also an incredible source of ideas about how we can grow the charity - and do so in a sustainable way. “We're delighted to have him on board and his experience will be invaluable." James has extended an invitation to individuals or organisations who want to support The Silver Line and its great work, either by donating to it or by developing partnerships, saying he would be happy to facilitate introductions to the right people within the charity.